Ever time I see a Maadi, I think of Red Dawn. That's were it all started over here. Commercial imports anyway. Where do you think I am, Djibouti? 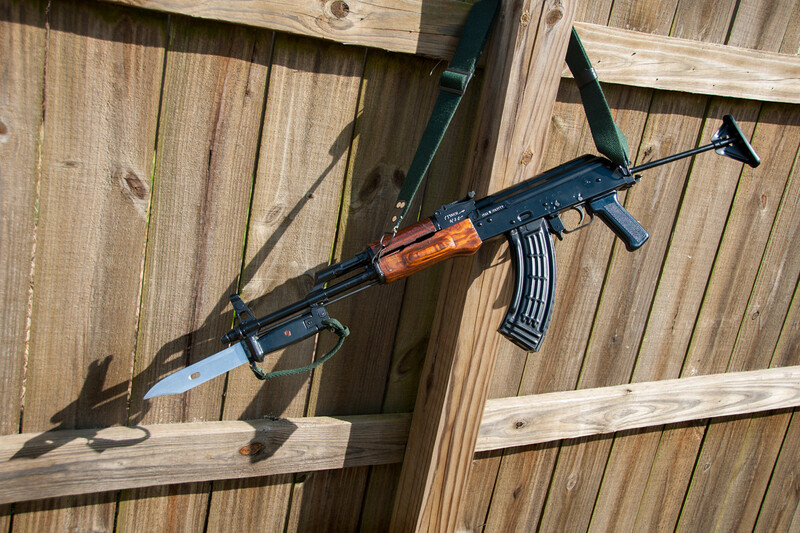 Daytime shots after refinishing the blue bayonet. Sourced an immaculate version with NO YELLOW GLUE! Had to slightly machine it (dremel). Decided to scuff and refinish in appliance epoxy. Very happy with the results! Sadly it was delivered with a beat up Romanian scabbard.